In the summertime, one of the regular activities we will be undertaking is finding some way to cool down. This might involve putting the air conditioner on full blast for a while. Sometimes there is a little guilty pleasure in just opening the fridge door and standing in the cool breeze that is coming out. Shopping trips take on a whole new meaning with the chance to wander around a nicely air-conditioned environment in a mall. And those nice cold supermarket fridges and freezers can bring some very pleasant relief. One of the more common ways is to have lots of cold drinks. An ice-cold drink in a long glass with moisture trickling down the sides can be a very refreshing experience. 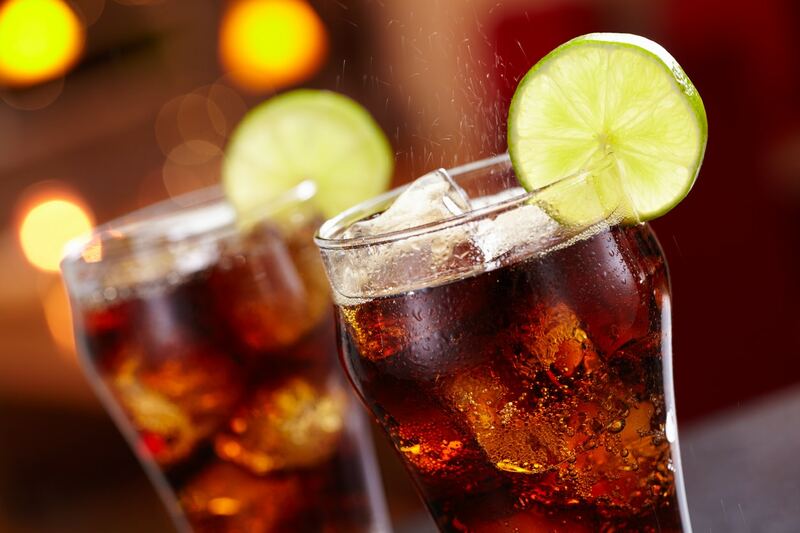 Maybe the feeling of the cold bubbly sweetness of a soft drink can be a very enjoyable sensation for you. But of course, there are consequences to this. And unless you want to be looking for an affordable dentist in Melbourne, you might have to consider a few things. Soft drinks are full of sugar that are going to cause problems for your teeth as sugar is a great food for bacteria in your mouth. But even if you choose the non-sugar varieties, those drinks will also usually be very acidic, which is going to cause problems for your teeth enamel. This higher level of acidity will actually soften your tooth enamel for around 30 minutes, so it is best not to brush your teeth in this time. Drinking acidic drinks over an extended period of time will often cause your enamel to eventually be eroded. Unfortunately, even if you want to enjoy a cold frothy beer, there are still problems with acidity. It is important to think about having some food with your drinks. Usually finding something with vegetables will help raise the pH in your mouth and reduce the impact of the acid. Another nice tasting chilled drink is fruit juice. However, this is also a highly acidic drink that will do damage to your teeth. Many people used to think that juice was a very safe option, but there are often high levels of sugar as well. It is not a great drink for a kid to have as it has the potential to cause problems. It might be best to try to limit the amount of juice that is drunk and again have it with meals. Frozen flavoured ice blocks might cool you down, but if made from juice they will be acidic. Many ice creams are very high in sugar as well. If you do not want to have to go looking for an affordable dentist in Melbourne, then rinse your mouth with water after eating them. Sports drinks seem great if you are exercising and losing salts in your sweat. But again, these are often an acidic drink with sugar in them. It is not to say that you cannot have them, but if you do, then consider rinsing your mouth after with water to reduce the level of acidity and sugar in your mouth, or even eating a banana can reduce acidity as well. Milk is a good alternative to consider, as it does not have the problems with acidity. However, if you add sugar products to flavour it, then you will need to consider the impact, and if you are making milkshakes or smoothies with fruit, there will still be the acidity from the juice. The simplest solution is to drink water. Have it freezing cold if you like and get that amazing refreshing sensation. If you experience sensitivity with your teeth with cold things, then it is worth checking that there is not any associated dental health problem. If you do discover there are some problems with your teeth, then contact Dentist Collingwood, because we are an affordable dentist in Melbourne. Give one of our friendly staff a call on (03) 9417 6355 and we will help you with any questions you have about your dental care.